Our firm was created with the core principles of providing the highest quality tax and accounting services tailored to each client’s specific needs. We believe in being proactive, responsive, and always maintaining professionalism and integrity. Our firm combines traditional values of CPA profession with modern technology. We are based in Palm Beach County in South Florida, but the internet and cloud technologies allow us to work with clients located anywhere in the world. Please contact us by phone or Skype at +1(561) 819-4848 to schedule an online meeting or in-person appointment in Palm Beach or Broward County. Ms. Murphy's accounting career spans over 19 years. She started as Junior auditor in Russia in 1999. After moving to USA, she gradually advanced her accounting career, working for local and national CPA firms for over 10 years. At the same time she earned Masters Degree in Accounting and obtained her CPA license in Florida. 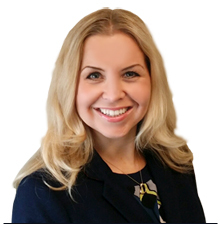 Olga specializes in working with individuals and privately-held businesses providing personalized tax and accounting services. Her areas of expertise include tax planning, accounting services, QuickBooks training and consulting, and compliance services for new and existing businesses. Olga is a Certified QuickBooks Online ProAdvisor and has been working with QuickBooks since 2005. She also has diverse experience in other areas of tax and accounting, including international tax compliance, FIRPTA compliance, FBARS and 8938s; audits of Common Interest Realty Associations (CIRA), forensic accounting engagements related to recovery of misappropriated assets, accounting for divorces, financial statements preparation and write-ups. Olga is truly passionate about serving her clients and delivering the high quality work products. Olga is fluent in Russian and has a passion for learning foreign languages, which she actively engages on her international adventures. She enjoys active lifestyle and loves spending time with her family, friends and her dog.